In minty blues, greens and creams stirred with rich reds and chocolates, like childhood drawings brought magically to life, fabulous folk-art illustrations combine with perfectly picked childhood details to relay a true tale of envy, endurance and a sibling’s special day. You can learn more about Chloe and Giselle’s father and the family puppet troupe that brought them to Europe in the 1970’s here. Thoughtful, unhurried narrative and rich, enveloping art capture the clutter and compassion of two celebrated sculptors, a fledgling robin’s rescue and the birth of a life-changing friendship. You can learn more about sculptors Frances Loring and Florence Wyle here. Read about the recently published adult book, And Beauty Answers: The Life of Frances Loring and Florence Wyle, here. Aha! I found a photo of their studio church on Glenrose Avenue! 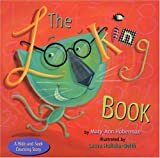 Twenty-eight pages of mystery, mischief and marvelously meandering rhyme take us on a distraction-packed cat-finding mission that introduces youngsters to the numbers 1 to 28 and — perhaps, more importantly — introduces adults to the delightful art of dawdling. Rhythmic narration, enchanting riddles and an elegant fusion of Asian and art deco illustration draw us into an adventure in friendship and fortitude that highlights the fragility of life and the fortune that is water. You can read about more of our favourite Canadian, Asian-themed children’s books here. You’ll find a great list of dragon related books and activities here.